On behalf of admin of JML Law, A Professional Law Corporation posted in Motorcycle Accident on Saturday, May 06 2017. It can be very dangerous riding a motorcycle out there. There are a lot of debris and road hazards that may get in the way of a pleasant riding experience. Although some of these obstacles may not affect much a car, they can have devastating consequences for cyclists and pedestrians alike. Some insignificant hazards we encounter every day on our way to work, such wet roads and uneven pavements can lead to fatal motorcycle accidents and deadly injuries. Contact a Los Angeles personal injury attorney from JML law today and we’ll answer any questions you may have regarding your motorcycle accident. It’s important you understand who is held liable for your accident and injuries sustained. Roadways conditions – Road maintenance is essential to safe cycling. 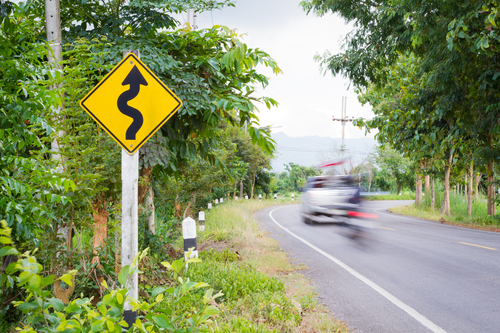 Roads tend to suffer major changes during construction projects increasing the risk of a motorcycle accident. Gravel – This surface can be deadly for any cyclist, especially when he or she is making a turn. Accidents caused by this type of scenario generally happen due to high speeds and unskilled drivers. Slippery surfaces – Roads can sometimes become slippery with leaves, paint, and oil causing the cyclist to lose control. Wet roads – Roads containing water can cause hydroplaning. This is very dangerous and it can also lead to a deadly accident. Debris – Some common road debris include tree branches, rocks, and parts of tires. Debris can get in the way and cause major collisions. These objects can also hit and injure the driver. Gusty winds – They will definitely throw the cyclists off balance. Who can be held liable in a motorcycle accident? There are various parties responsible for compensating victims in these accidents, which may include the city, county, and even the agency maintaining the road. Individuals and other businesses may also be held liable for the accident, depending on the circumstances. For instance, when tree branches fall off a truck used for landscaping, the driver is responsible for the damages or injuries caused. However, other factors need to be considered when determining the original causes of the accident, including the type of hazard and the possibility of hazard removal. If you or a loved one has become a victim of a motorcycle crash, the Los Angeles motorcycle accident attorneys at JML law are here to answer any questions you may have and obtain the compensation you and your loved ones are entitled to receive.